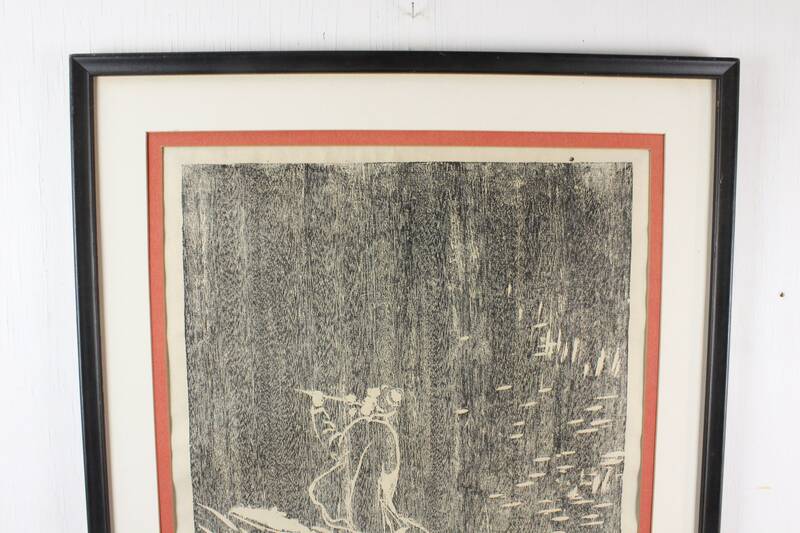 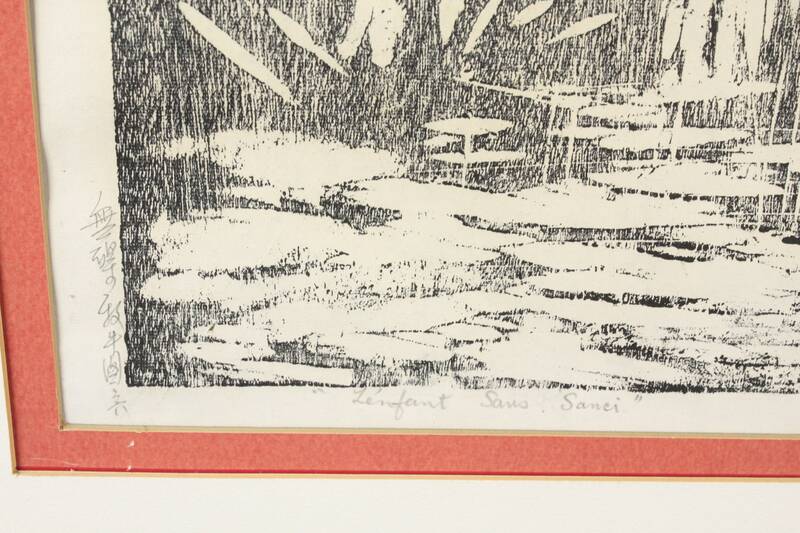 This exceptional Japanese woodblock print was made in the 1950's for trade on the international market. 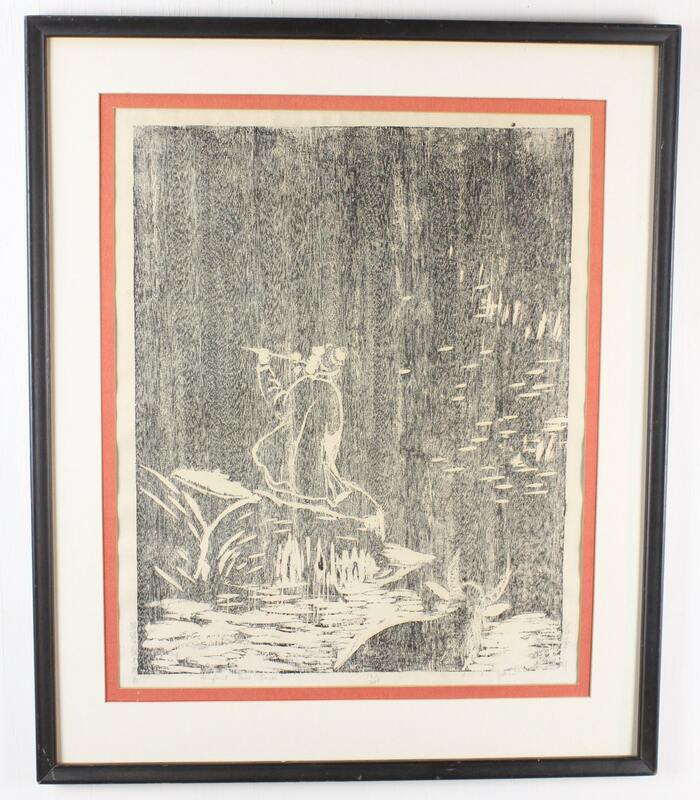 This print, entitled: "l'enfant sans souci" (the child without worry), features the image of a child playing a bamboo flute alongside a stream with a water buffalo as his audience. 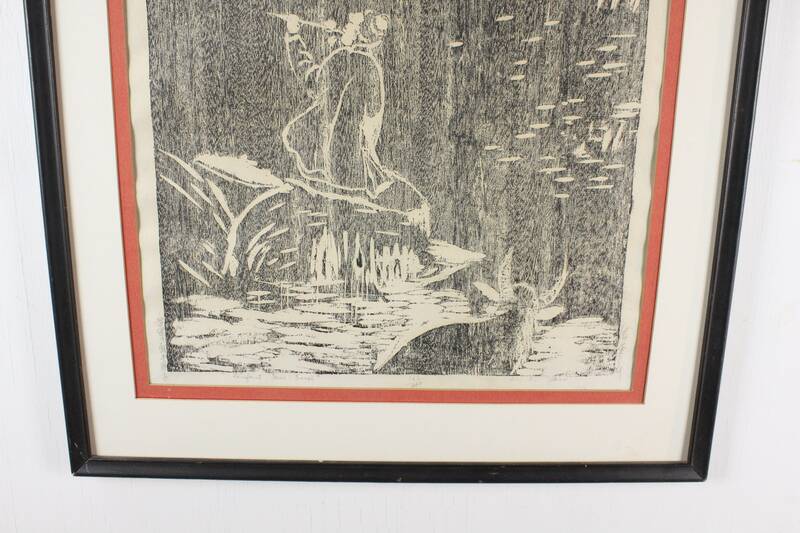 This contemporary 20th century artwork is based on traditional Japanese imagery as carries on an artform that dates back for hundreds of years. 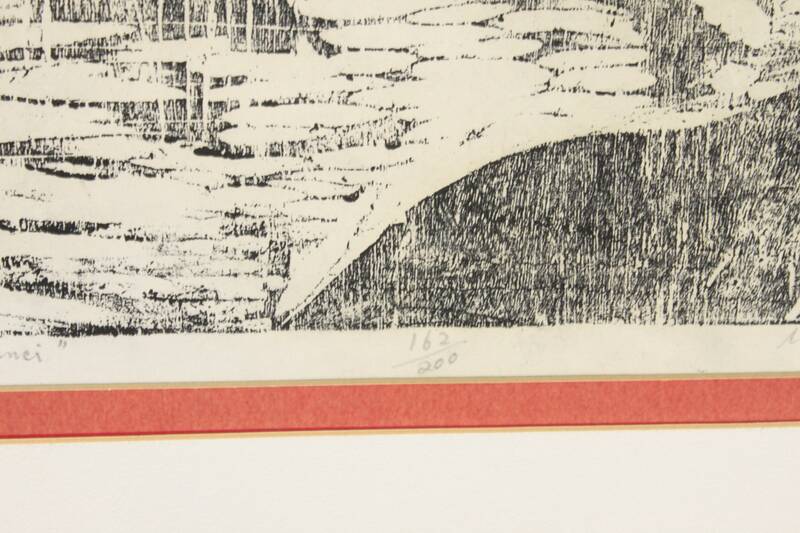 This piece is printed on rice paper, marked 162/200 and is inscribed in both French and Japanese. 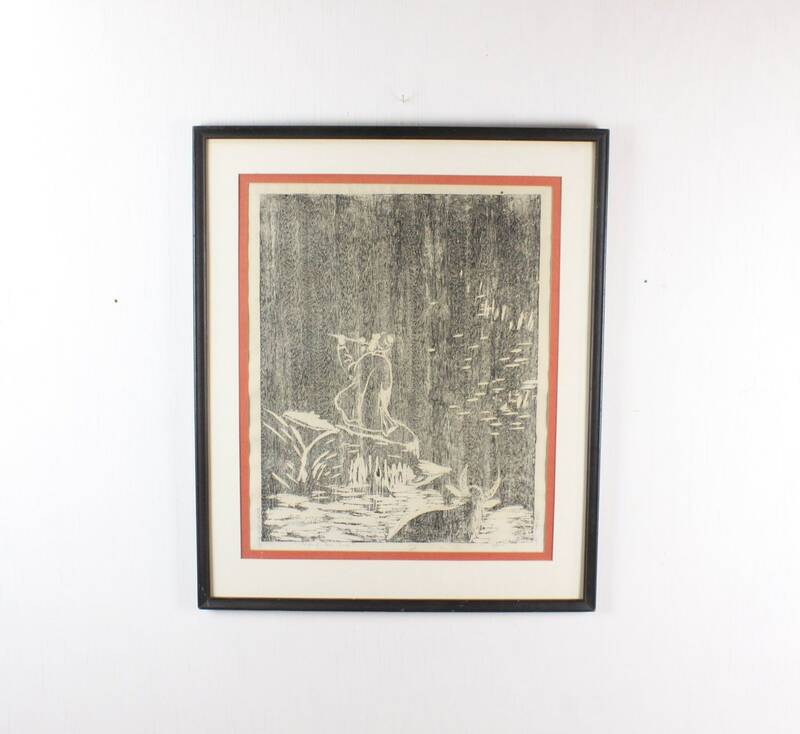 The print is presented in a double matte (off white and red) and mounted in a simple black lacquered wood frame. 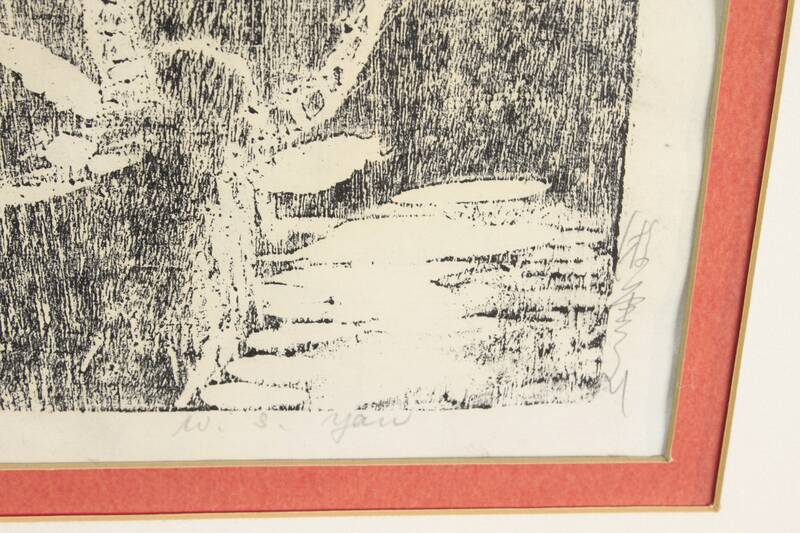 The piece is not under glass but can be add (upon request) for an additional fee - Matte can be changed as well. 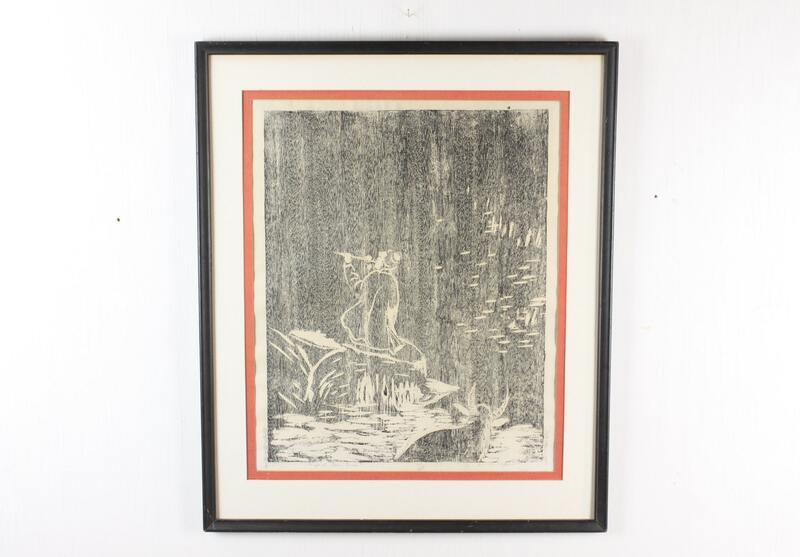 - Print: 17" x 21"
- Frame: 28" x 23.25" x 0.75"